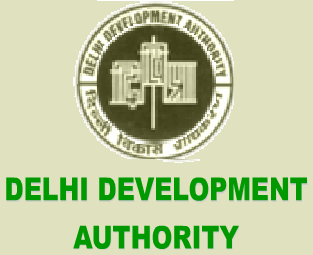 www.dda.org.in - This post will let you know how to book and apply for new flats of DDA Housing Schemes in Delhi 2014. As you know, Delhi Development Authority had announced their biggest housing scheme for delhi people few days back. According to this scheme, DDA had announced housing scheme of 25034 new flats, which was announced on 1st September, 2014. What is DDA Hosing Scheme 2014? According to this scheme, you have to register for getting new flats in cheap price. Then there will be Draw and by draw the winners of the flats will be announced. Who can apply for DDA Hosing Scheme 2014? Any Indian, Citizen, who does not own a property in delhi, individual or jointly, is allowed to apply for a flat. The draw of lots for the scheme is expected to held between October 25th to 31st October, 2014. Update :- The Last Date to submit application form is extended to 15th October, 2014, The Draw of DDA Flats will be done on 5th November, 2014. On person can submit only one application. Both husband and wife can apply but if both are successful, only one can retain a flat. How to apply for DDA Flats 2014? Buy a brocher at Rs.150 from selected branches of any of the 13 banks empanelled by DDA. Borcher can also be download from DDA Website, but Rs.150 would have to be paid separately while submitting application. No documents have to be attached at the time of submitting application. It is mandatory to porvide the permanent account number (PAN no) in the application form. There will total 22627 flats are there who having 1 bedroom flats, 1125 will be janta flats, 700 EWS flats, 561 2 bedroom flats and 21 3 bedroom flats are there in DDA 2014 scheme. 3 bedroom Flats, Area 84.82-156.61 Square meter. 14 flats in rohini, 4 in jasola, 1 in mukherjee nager, 1 shalimar bagh, 1 in moti khan. 396 flats in narela, 112 in mukharjee nager, 19 in rohini, 16 in kalyan vihar, 8 in janakpuri. 11,046 flats in rohini, 9472 in narela, 2362 in dwarka. What is the register amount? The people who is going to register for DDA Flats have to pay rs.1 Lakh as registration fees for DDA Flats 2014 scheme.